What to wear for a family beach photo. On this post we are going to go over a few of our favorite color combinations we’ve seen families wear. We feel that putting everyone in the same color tops and bottoms can be a bit boring. 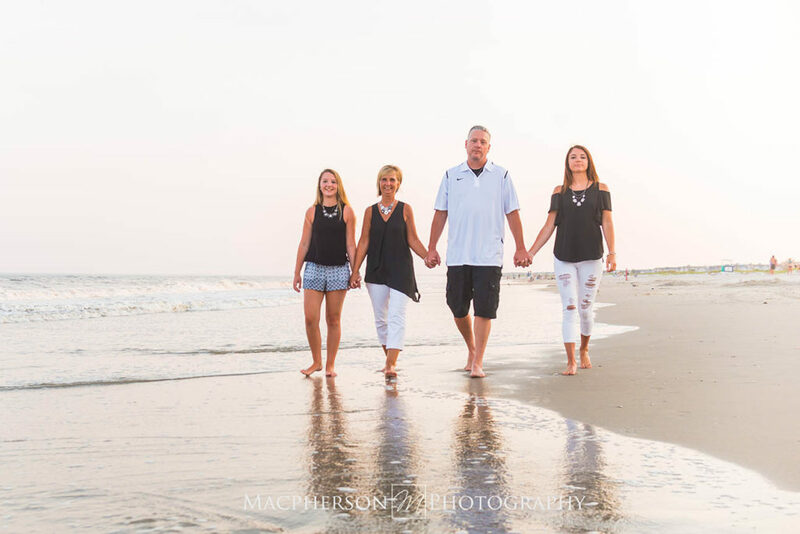 As the best family beach photographers in Sea Isle City New Jersey we have seen every combination over the years. So here are a few great examples of families that mixed it up alittle bit for their family portraits. Navy and white outfits for a family portrait on the beach just works. There is something elegant and classic looking when everyone is in navy and white. It gives off a very New England style feel. Don’t have everyone in navy shirts and white pants or the other way around either. Try to mix it up a bit with different dresses or some shorts and some pants etc. Here is a family that pulled off the navy and white look quite well. You can also throw in an accent color too if you are feeling brave (you can see the pop of color works well in this photo). Pastels are great for that laid back beachy Bahamas vibe. You can still get away with lots of khaki if you have a few different pastels mixed in. Nothing says you are on a relaxed vacation in Sea Isle City like some pastel blues, turquoise, and pink colors. 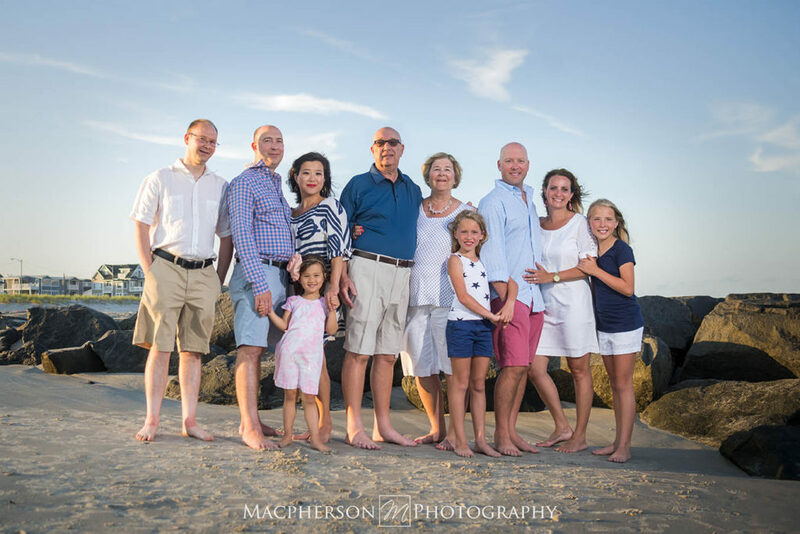 Here is an example of a great combination of colors for this family photograph. Last on our list of recommended outfits for family portraits is black and white. Recently we’ve noticed a few families going with this color scheme. At first we weren’t crazy about it but the more we saw it the more it grew on us. Maybe it’s because not many families wear it but I will admit now, it looks pretty spiffy. You can decide for yourself if you like it. Without further adue, here is the last outfit for today. 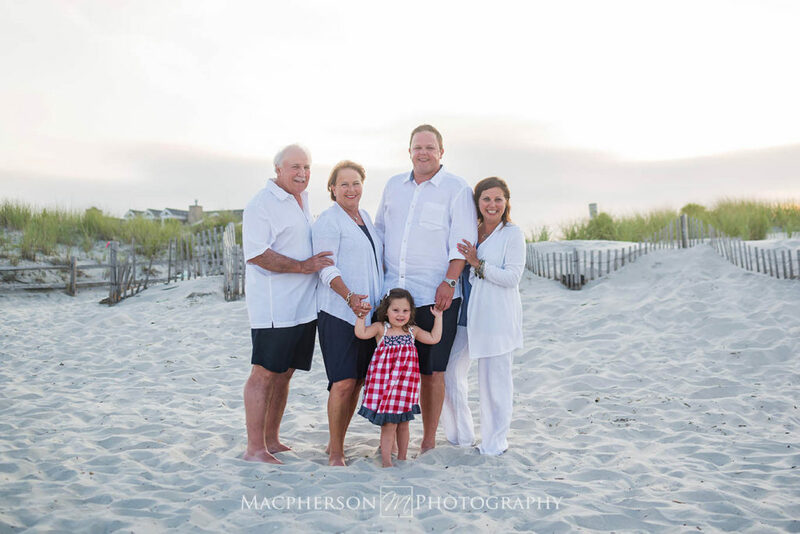 If you are vacationing in SIC and looking for the best family beach photographers in Sea Isle City New Jersey, or any other shore town in NJ, and are interested in booking a family photographer, contact us today. Our summers fill up fast so the sooner you contact us the sooner we can reserve your date! I love the Pastel color scheme. especially the light blue and coral! That soft sunset light is the best! Great photos Andy.